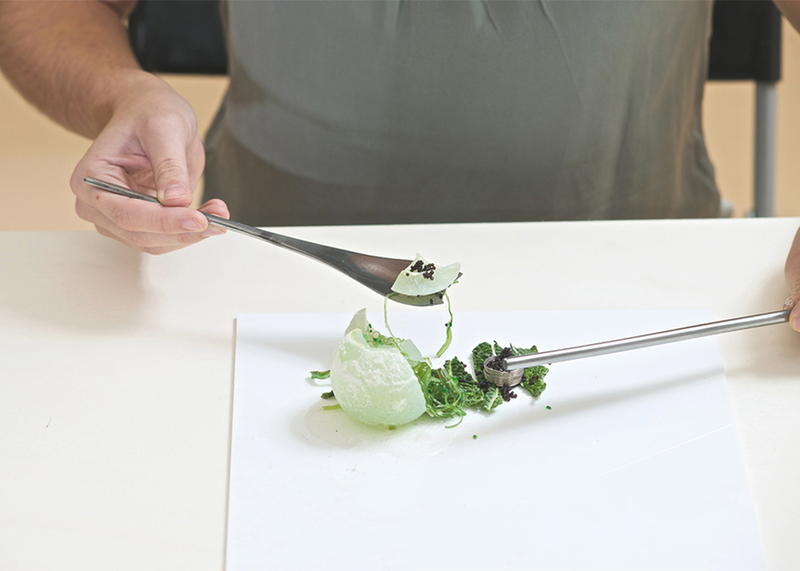 After their successful Fungi Mutarium (aka FU), a novel fungi food product grown on plastic waste, Austrian designers Livin Studio just had to come up with a specific Fungi Cutlery as new types of foods demand new ways of eating. 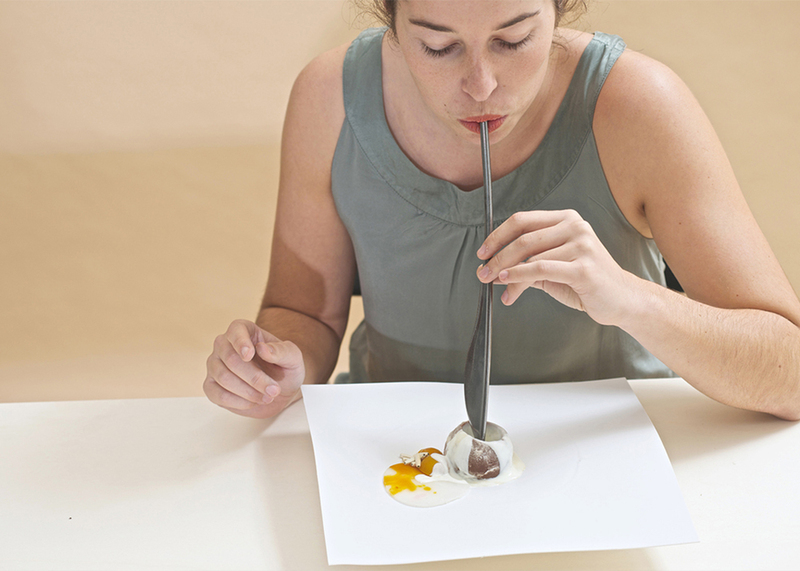 Developed in close collaboration with Utrecht University in the Netherlands, Katharina Unger and Julia Kaisinger created a set of four silver cutlery pieces they call Drip Dropper, Round Chops, Hollknife, and Moon Spoon. 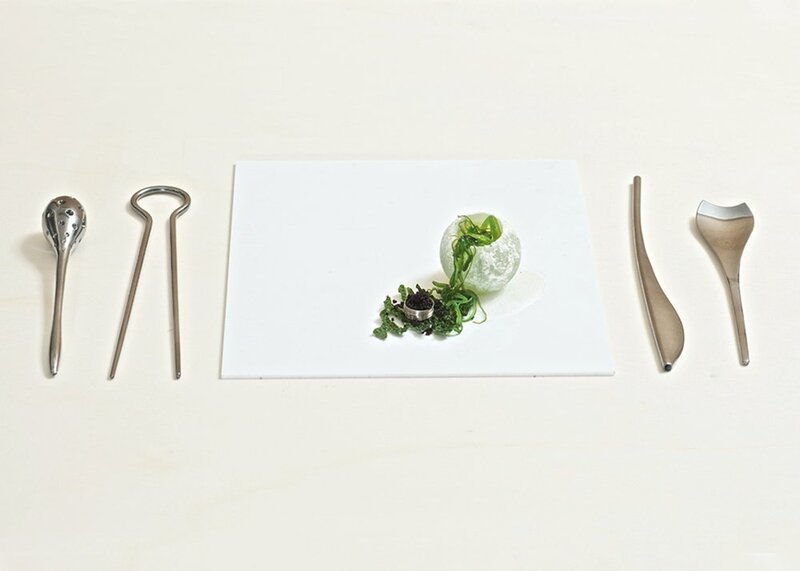 These beautiful utensils can be used for drizzling sauce, slicing, slurping, and reaching even the tiniest bit of fungi, ensuring nothing goes to waste. 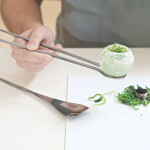 Livin Studio’s innovative Fungi Cutlery was specially designed for eating FU, a futuristic food recipient product based on agar (a seaweed gelatin substitute) and fungi mycelium. 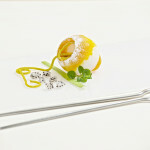 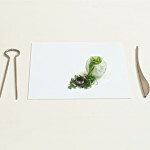 The cutlery collection is not only innovative in shape, but it creates new ways of eating with a very special etiquette. 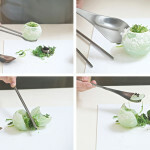 The Drip Dropper is shaped like a rattle and allows eaters to scratch the fungi off the FU’s wall while simultaneously mixing in the sweet or sour sauce that goes on top. 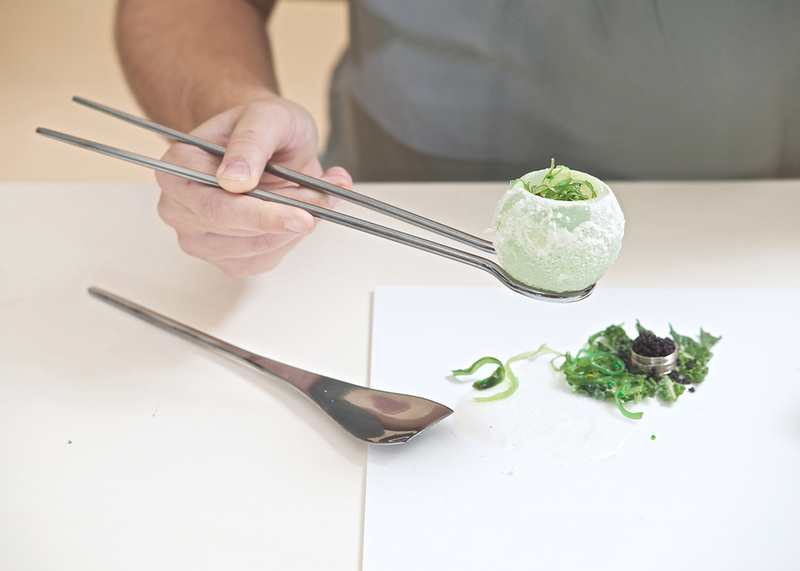 The Round Chops have two functions; they can be used just like chopsticks to eat little bites of food, or they can hold the spherical FU with their round end. 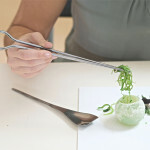 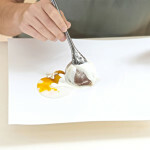 The Hollknife blends the design of a knife and a straw, allowing users to cut the FU into pieces and then soak up the sauce through its straw function. 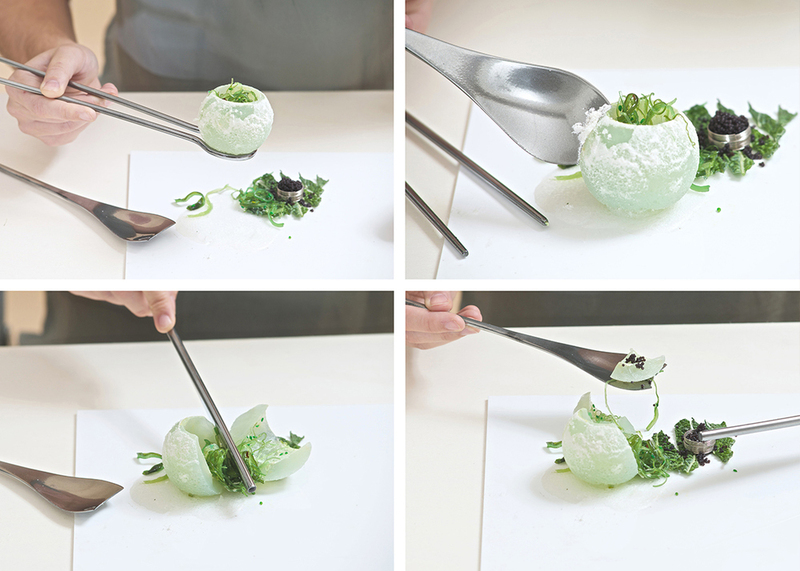 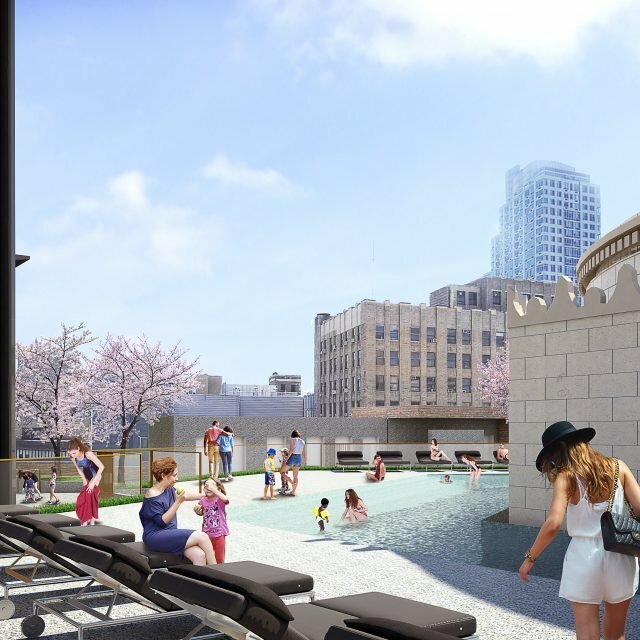 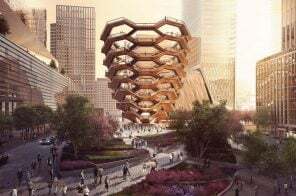 See more sustainable food and elements from the future by Livin Studio here.